Desh Bhagat Dental College and Hospital (DBDCH), a constituent of Desh Bhagat University, in best universities in Punjab (DBU) celebrated World Oral Health Day with fervour. 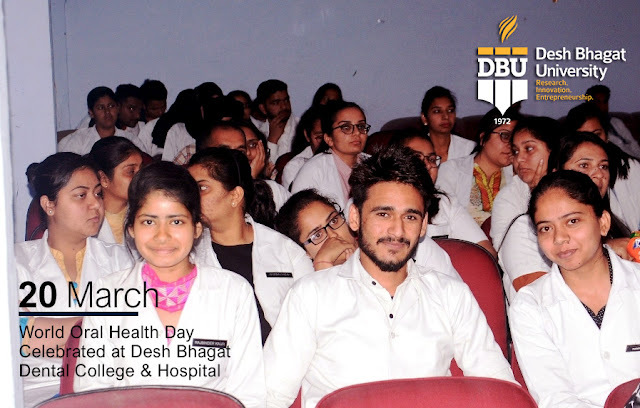 A special program was organized to celebrate the day, in which students of different classes of BDS and MDS and staff members took part in it. 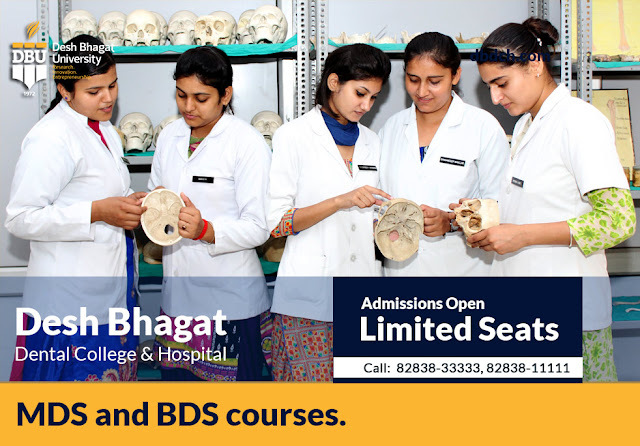 University Chancellor Dr. Zora Singh presided over the function. 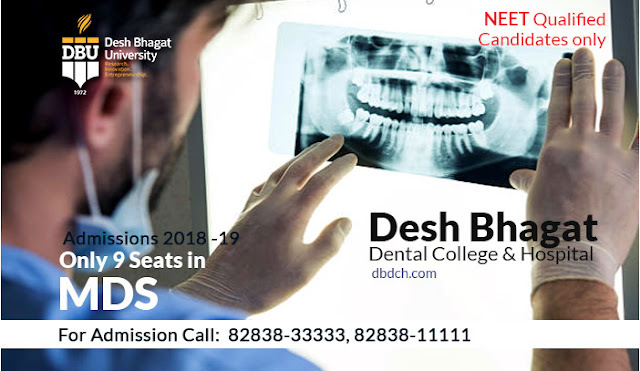 While speaking on the occasion Dr. Singh said that oral health is the mirror of the body, hence maintaining oral health improves overall health. 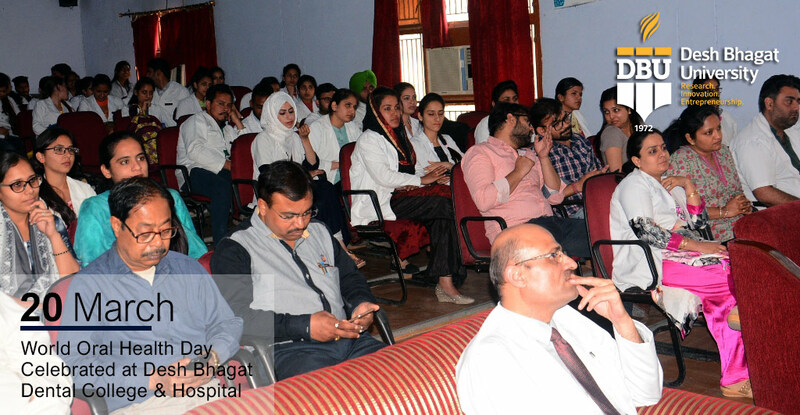 He emphasized the importance of preventive care of oral cavity as this improves overall health of individual. Principal Dr. Manish Kumar gave brief history of World Oral Health Day that it was FDI (International Dental Federation) who started the initiative in 2013 to celebrate 20th March as World Oral Health Day. 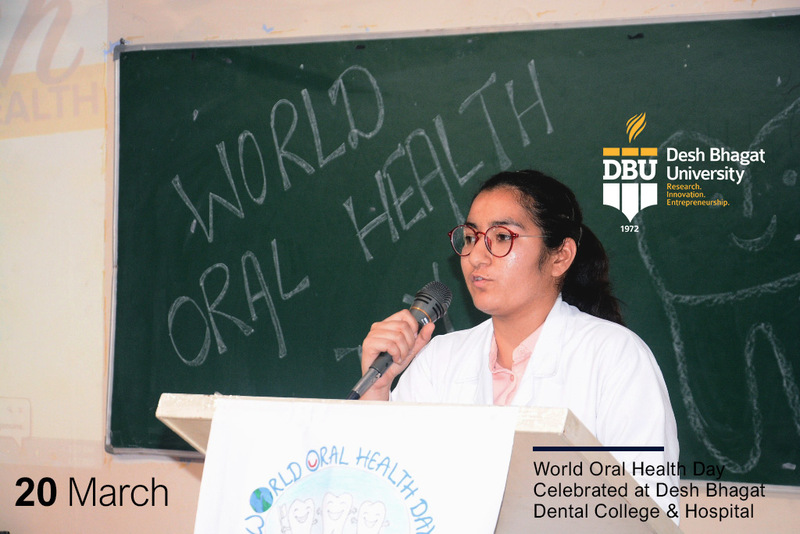 The theme for 2018-2020 is ‘Say Ahh-Talk Mouth Talk Health’ highlighting two way relationship of oral health and general health. 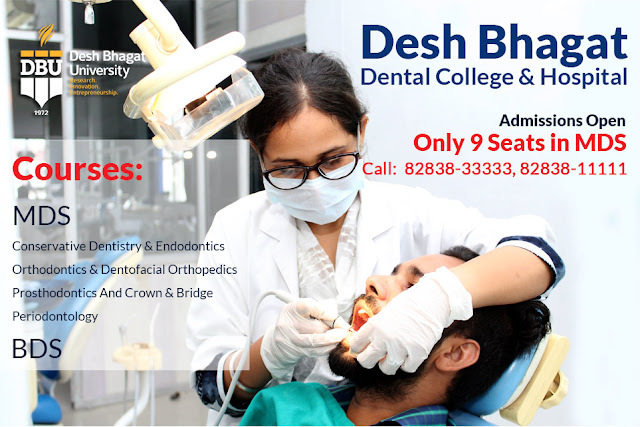 In other part of the event, the dental students participated in Poster Making, Slogan Writing, Selfie and Advertising Competition. 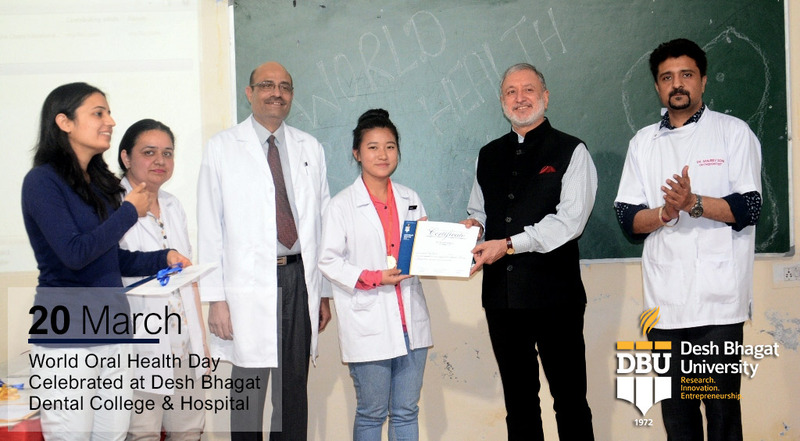 In slogan Competition, Manpreet Kaur was adjudged First, Simranjeet Kaur Second and Baljinder Kaur got Third Prize. 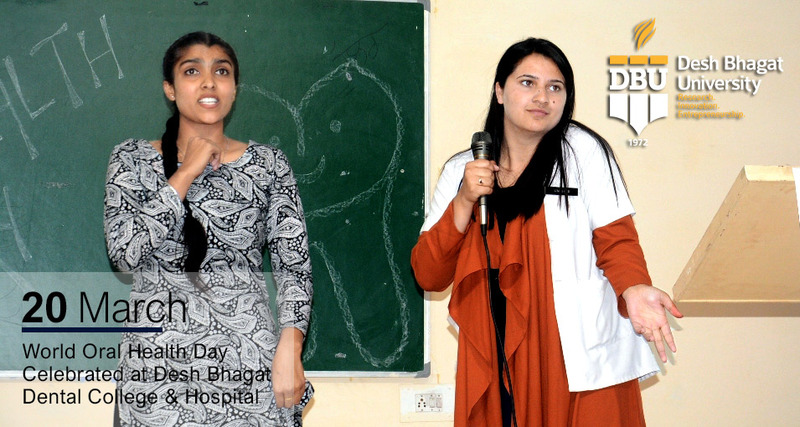 In Poster Making: Priya received First, Harpreet Kaur Sran Second and Shikha Chauhan got Third Prize. In Selfie Competition, Simarjeet was declared First and Tarandeep Kaur got Second position. 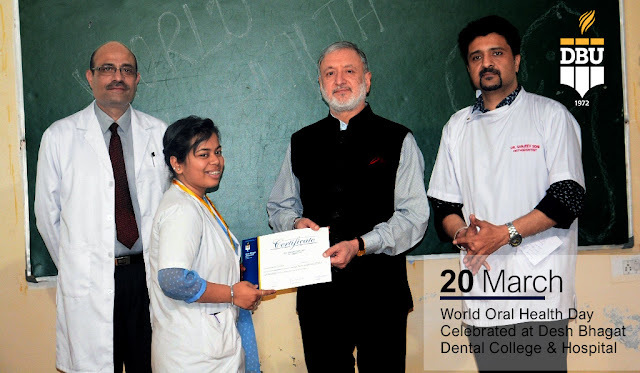 In Advertisement- Tarandeep and Umerhani secured first while Yogender got second position. Vice Principal Dr. Sanjiv Soni proposed vote of thanks. 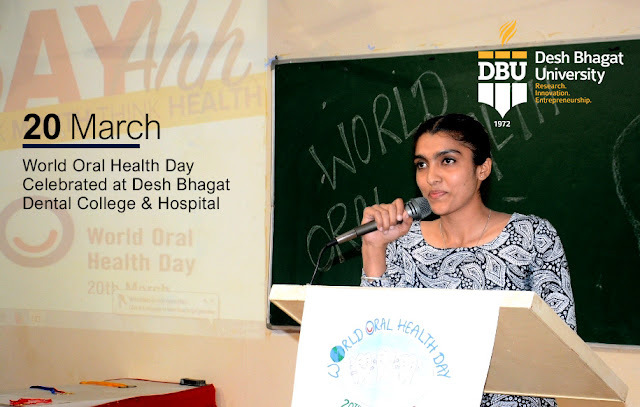 Reader Dr. Rajbir Kaur Informed that the Department of public health dentistry organized two dental camps at different places on the same day. Staff and Faculty members were also present at the occasion.